Don’t miss the “FinCon Central Talks,” a new inspirational feature happening for the first time at #FinCon18 in Orlando, Florida (September 26th-29th)! FinCon Central (formerly known as “The Expo Hall”) will highlight these three lightning talks directly from the main stage in FinCon Central on Friday, September 28th. Attendees can gather round the main stage in the hall and take in the impactful messages from three distinct voices in our community. 10:00 AM – Joe Saul-Sehy is an award-winning podcaster (Stacking Benjamins), financial advisor, and co-host of the Money & Media Podcast. 11:30 AM – Stefanie O’Connell is an author (The Broke and Beautiful Life), blogger, entrepreneur, and nationally-recognized millennial money expert. 2:00 PM – Joshua Becker is the best-selling author of The More of Less, longtime blogger at Becoming Minimalist, and founder of Simple Money Magazine (launching soon). We love adding new features to the event every year and we’re excited about this addition for #FinCon18. We can’t wait to hear what these fantastic speakers will be sharing with us. Also, if you’ve been around FinCon for years, you’ll notice the shift from “The Expo Hall” to “FinCon Central.” “Expo Hall” never really defined all that goes on in that space each day. There’s business being done, new content being created, live podcasting, videos being recorded, new FinTech being displayed, bonus educational content, and influencer networking—just to name a few things! “FinCon Central” is also a better reflection of the high energy and buzz that takes place over the day and a half! 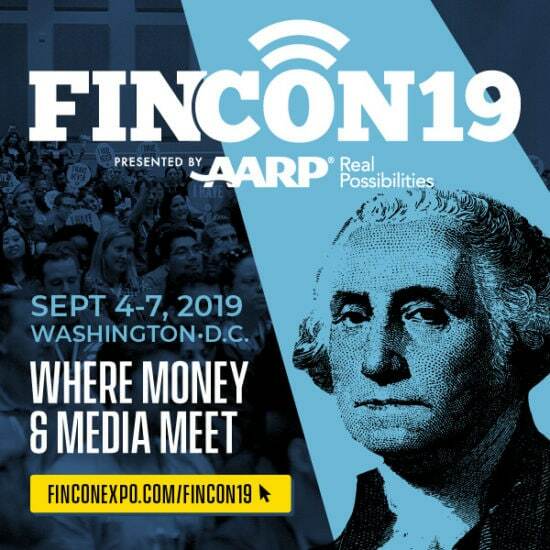 See the schedule to discover more sessions at #FinCon18. And if you haven’t purchased your pass yet, you can do that here!